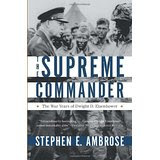 The title of Supreme Commander is rather intimidating, but it is one that was used to define an American from the small town of Abilene, Kansas, who became the most influential military figure of World War Two. Dwight Eisenhower did not seek out the title, but he defined it by his leadership, intelligence, wisdom, and diplomatic skills. In The Supreme Commander: The War Years of Dwight D. Eisenhower, historian Stephen E. Ambrose gives a clear and concise account of the war years of General Eisenhower, from the time that he was sent to Europe by Chief of Staff George Marshall until the victory over Nazi Germany. Ambrose’s account gave me a new appreciation for Eisenhower’s leadership in four areas. First, I always knew that Eisenhower was a gifted logistician, but Ambrose helps the reader to see how essential to victory was the provision of not only men and equipment, but maintenance and supply lines. An army can only perform effectively if it has the tools necessary to do its mission. Eisenhower gave priority to such planning, knowing that a great deal of flexibility was also needed as circumstances changed. He encouraged his staff to be creative and resourceful as they planned for the unthinkable. Second, I gained a greater understanding of how he used his personality and “people skills” to deal with outsized personalities like President Franklin Roosevelt, Prime Minister Winston Churchill, British commander Field Marshall Bernard Montgomery, American General George Patton, and even his mentor Marshall. Eisenhower would not be bullied but stood his ground when he knew that he understood the situation better than anyone else. He was willing to be the “expert in the room” and deal with the forceful personalities that often opposed him. One way that he did this was to develop a unified team that crossed international lines. The British officers on his staff were treated equally to American officers and became big “Ike” fans. He treated them fairly and welcomed their contributions. Although he tried to avoid making political decisions, his reputation with his British staff helped him to deal with Churchill and other British leaders when his decisions were challenged on political grounds. Third, although some have said that Eisenhower was not a strategic thinker but only a planner, his decisions during the final assault on Germany showed his understanding of the overall situation and the ability to pursue a master plan. Throughout his time in command, he exhibited his willingness to defer to his commanders and let them exercise their own initiative. At times, he may have been too “hands off” (especially when it came to Montgomery) but his strategy ultimately achieved victory. Fourth, Eisenhower understood that with command comes responsibility. In both North Africa and Europe, he was ready to accept full responsibility if the invasions failed. He had made the call and he would accept the consequences. This is true leadership. One comes away from Ambrose’s book with an understanding that modern warfare operates on several levels—offensive operations, logistics, and politics. At the center, however, are men and women who must know how to work with others to accomplish a mission. Dwight Eisenhower was such a leader. If you had a choice between helping your current pastor stay on and continue to grow in her or his capabilities as a leader or for your church to go through a lengthy search process, which would you choose? I think most of us would choose the former. The departure of a pastor usually entails a period of grief, seeking an interim, going through some congregational self-assessment, putting together a search committee, vetting candidates, selecting a person and then getting that person on the field. It is a trying process and an expensive one. I have never seen a church grow during an interim period. One way to keep your pastor and help him or her become more effective is to employ a professional coach to work with your leader. This is an investment that will benefit both the pastor and the congregation. Coaches can help a pastor in a number of ways. First, the coach can be a safe sounding board as the pastor exercises leadership in the church. 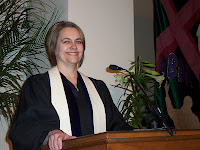 The coach provides the pastor with an opportunity to reflect on how her or his actions may impact the health of the congregation. The coach can also help the pastor discern the best resources and strategies to facilitate church growth. Second, a coach can help the pastor as he or she leads and supports other staff members. Few pastors have had the responsibility of supervising other professional ministers and this is not usually taught in seminary. A coach can assist a pastor to develop and exercise good staff leadership, benefitting all concerned. Third, the coach can help the pastor discover and pursue ways to develop new skills or hone old ones in preaching, pastoral care, teaching, and administration. One pastor of my acquaintance employed a coach specifically to help her to expand her preaching skills. Fourth, the coach can work with the pastor to establish a healthy life and work balance, knowing where to draw boundaries and protect time for personal renewal and family. Of course, there are coaches who specialize in spiritual formation, time management, and personal health. A pastor may seek the services of such a specialist. Pastoral leadership is not an easy task. 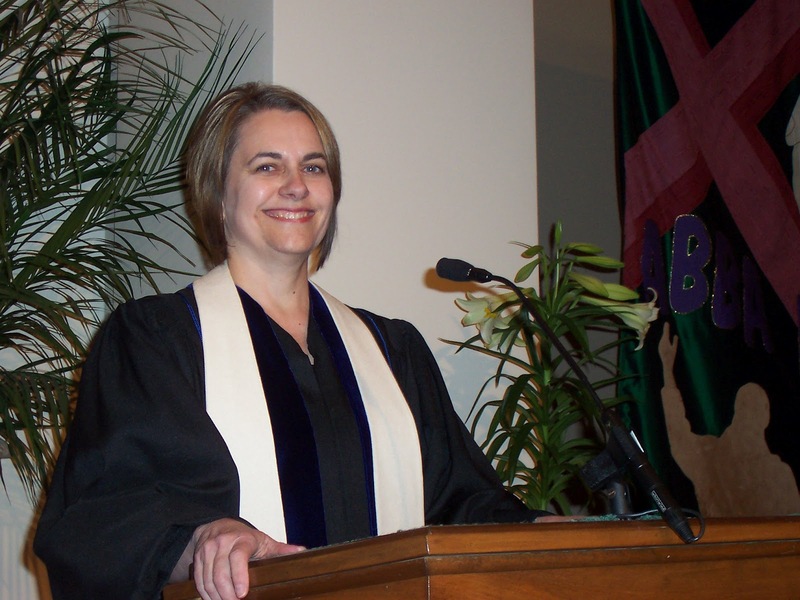 Congregations can assist their pastors to thrive and stay with the help of a coach. This is a “win-win” for all concerned. To learn more about leadership coaching, contact Ircel Harrison. Coaching and Consulting—What’s the Difference? Consultants are generally seen as persons with expertise in a particular area of content whereas coaches are process experts who work in many different contexts. A coach does not have to know about education to coach an educator or be an expert in the law to coach a lawyer. Coaches are hired to promote clarity rather than inform their clients. Consultants are generally seen as resource people and teachers. Even with these definitions, I continue to struggle with the dichotomy. I think that one way to resolve the struggle is to adopt an approach to coaching that is more collaborative. In this approach the outside person works with individuals, but more often groups, to identify an area that needs attention, determine the best course of action, and then develop the plans to pursue that path. I am coming to see that this “collaborative consulting” uses the basic approaches of coaching and depends on the expertise and resources of those in the group to move the process forward. It is a “coach approach” to consulting. In his work on the missional church, Alan Roxburgh teaches that “the Spirit of God is at work among the people of God” and provides all that the church needs to fulfill its role as part of the missio Dei (mission of God). I think this undergirds the approach to collaborative consulting—the resources to define the problem, discover solutions, identify the path forward, and pursue the resolution of the problem (or opportunity) are already present in the church. The role of the coach/consultant is to help people discover what’s already there. In my consulting with churches, I spend time in conversation with leaders and congregants and then offer not answers but questions for them to consider. For example, “If you are really serious about church growth, what are the changes you will implement in your (worship, leadership, community ministry, etc.) in the next year?” “What are the resources needed?” “When will you begin?” These sound a lot like coaching questions to me. As you think about changes and challenges that your church faces, perhaps you need a consultant who is also a coach. What Can a Coach Help You to Achieve?